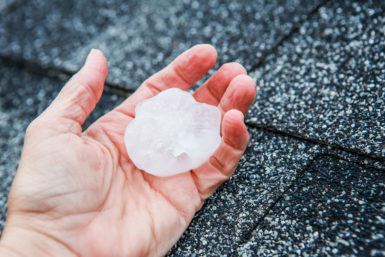 If your roof has endured hail damage, put the repairs in the hands of the roofing experts that homeowners in the Collinsville, Illinois area count on – Daech & Bauer Roofing. Our skilled repair and installation technicians are committed to providing a high level of service while returning your roof to optimal condition as quickly as possible. We will also help you through the claim process to ensure that your insurance company covers all necessary repairs for your roof without cutting corners. See for yourself why Daech & Bauer Roofing was named a Top 100 Roofing Contractor in the U.S. by Roofing Contractor magazine. Contact us today so we can get started on repairing the hail damage to the roof on your Collinsville, IL home.